Dear Sir/Ma, I successfully completed the DS160 form. Was invited by UN in New York. I have a good job(been working for 10years) and good travel history. The consular asked me if am married, I said No. He said I do not qualify for a Visa. After using our visa fee to drink coffee, the next action is to be dishing out blue paper with passion. U see smiles on their faces. Just a question & that’s why don’t u state reasons for visa denial,instead,u keep referring someone to the blue generic paper u gladly dish out? I don’t trust ur https://t.co/SWnj6yEwoc consular intentionally deny Nigerian Visa.And its going out of hand.Out of 100 Nigerians that apply they will only give 5-10…….making others to loose their precious 65k. Interview 300, reject 295….. lmao! Adaobi Emmanuella Njoku Contrary to what you just posted, I think and believe they actually do enjoy it because they act like they know it all and still end up giving visas to people without genuine intentions. I can’t wait for Wednesday to come because I have already prepared my questions down. They will explain to me how it is possible to deny one visa three times with three different reasons at different times when the form was filled exactly the same and for the same purpose. For a medical trip to help save ones child. I can’t wait for Wednesday. Kelechi Okoh I have a great job, my husband, 2 kids, properties you still denied me visa for child birth because I do not have strong ties. Really! I can never leave my family for anything. Am alive and keep working because of them. I was shocked at the consular officer. She did not even look at any of my documents. Ogbeni Samuel Adeleke Adejimi Thanks for giving us the opportunity to ask questions relating to common mistakes that led to visa denial based on DS 160 form. Will surely join the consular officer by 2pm on Wednesday to ask my questions. Akufai Valentine Jonah Had a terrible experience in 2013. I got scholarship to attend a conference in Denver but was denied visa. I was not angry because i was denied visa, I was angry in the manner of the disrespect from the consular officer. Imagine giving one that refusal letter and you are told off you go without any tangible explanation, after reading the letter, it states that i don’t have strong ties to my country either through being married, niether do i have a job and back then i use to work with an NGO and it was clearly stated in my application, i have forgotten the third excuse. I just laughed and left, I know people who are single then and are still single today that have gotten US visa, i know people who have no job but have gotten US visa, i know people who had zero travel experience but yet were granted US visa. Since that episode i have never ever applied for a U S visa because i don’t have any business there for now. Me, I would never get marry because i want to secure a US visa, Who sets the rule on what is “Strong ties”? Just a way to allow someone play “God”. For me, you get US visa base on which side of the bed the consular officer interviewing you wakes up from. Eunice Erusiafe My son was denied 3 times without any reason, he is going 4 a open heart surgery,(congenital heart defect )d boy is going tru a lot of pains right now I pray God sends help 2 us. Ufoeze Oge Uc To think I stood before a staff and the first thing he asked me was What does your husband do? I answered “Sir am not married” the next thing I heard was sorry ma you are not qualified for this visa. So it’s now a must to be married. Bayo Akintunde #AskTheConsul This will be a very interesting session. 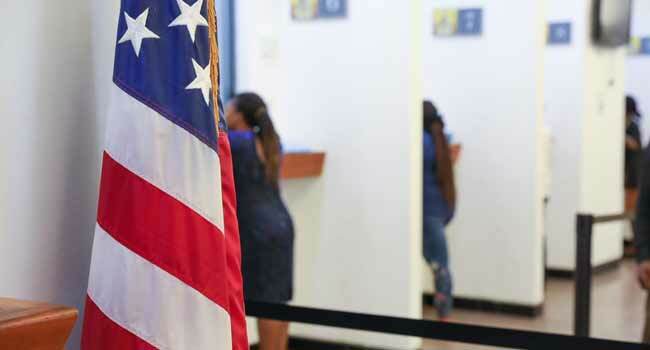 To understand what drives visa officers decisions despite glaring evidences. Adebiyi Oduyoye You should return the visa fee when you deny an applicant. Zanni Waherb Why not return the visa Fee after denying an applicant instead you chop d money and tell them to apply againlike you did for me 2yrs ago.